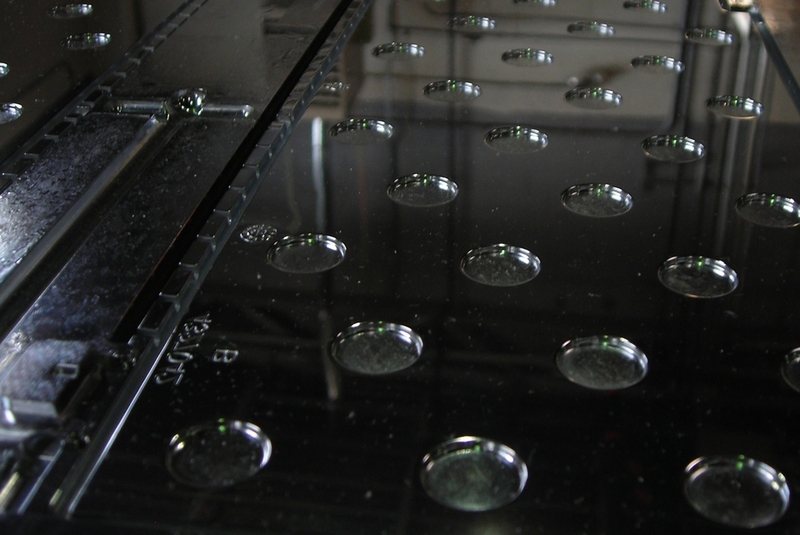 Metal Surfacing Technologies is a concise and condensed description of our work and philosophy as a company. It serves to define what we do, and also helps to clarify what we do not do. The starting point and basis for all our work is metal. An understanding of metal substrate properties is essential for correct selection and effective performance of surfacing operations. The current tool steel market contains an increasing multitude of variants with differing compositions and engineering properties. We have experience with these variants as well as a range of non-ferrous base metals and exotic superalloys such as Iconel. While we offer a range of metal surfacing options, we do not offer finishes intended soley for decorative and aesthetic functions. Our chrome process is hard chrome for an industrial market where mission critical manufacturing tools, molds, dies, and components require engineering properties such as hardness and corrosion resistance that hard chrome can provide. Our nickel coatings utilize specific compounds for an industrial market where metal surfaces require engineering properties such as lubricity, wear resistance, toughness, and durability that nickel-phosphorus and nickel-composite coatings can effectively provide. Our polishing processes are utilized for an industrial market where specific polished metal surface properties are intended for specific applications. Whether for injection molding surfaces, machine components, micro-parts, or optics & reflectors, our polishing capabilities are based on industry standards for industrial, technological, and research applications. The integration of selected technologies provides a framework for how we operate as a company day-to-day. These technologies enhance the efficiency of our methods and also ensure the quality of our end product. In some cases, these are tangible tools such as CAD and Solid Modeling that enable us to effectively communicate information with our customers and thoroughly understand their requirements for each project. Tools for quality control analysis enable us to go beyond visual and microscopic inspection and focus on our target of 100% specification conformance for each project. Technology is also prominent in our building systems and environmental control systems, enabling us to aim beyond minimum compliance and energy efficiency requirements. Although less tangible, our selective adoption of production efficiency system features from major paradigms such as LEAN, Kaizen, and Six Sigma allow us to focus on how these features can enhance our specific operation which differs from large-scale 'assembly line' production. As a skill & labor intensive operation where nearly every component we work with is different from the next, relevant practices that reduce or eliminate waste (time, space, motion, etc. ), shorten cycle times, support the target of perfect execution, and enhance customer satisfaction are selected and tested through experience, with the goal being constant improvement.